Alderprufe Geomembranes can be used for a wide range of applications. Tuflex in particular combines excellent chemical resistance with low flexural modulus to provide the ideal membrane for buildings protection systems, cut-off trench containment (particularly on contaminated sites which might otherwise prove too difficult or costly to develop), gas protection and waterproofing / lining applications, including attenuation systems, lakes and lagoons. Other Alderprufe Geomembranes are available in a range of compounds, including HDPE, LDPE and LLDPE. 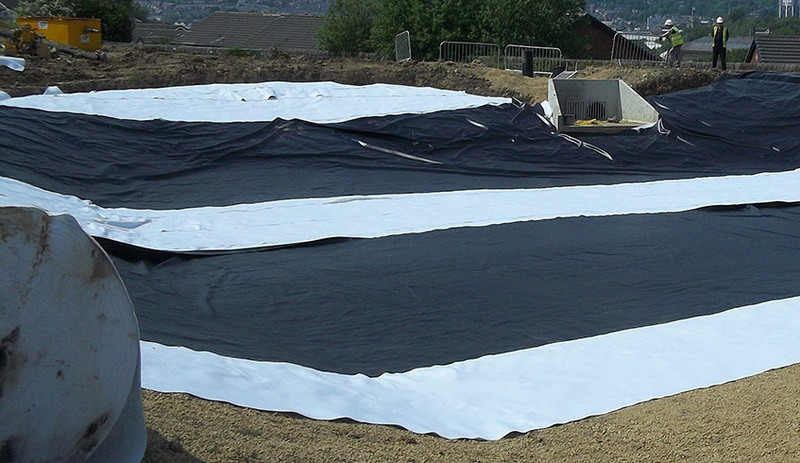 Whether the end use is for landfill, waterproofing, containment, chemical resistance - there is an Alderprufe geomembrane to suit.